Emily Binder is a keynote speaker on topics including voice marketing and AI, sonic branding, and career advice for women. 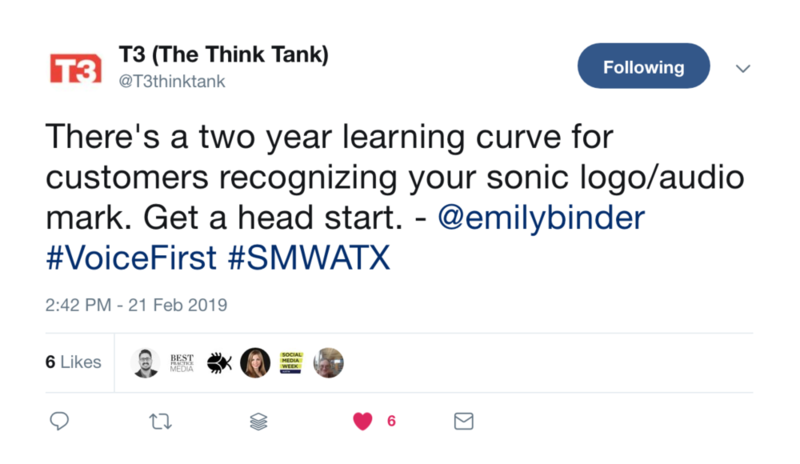 Emily has spoken at the American Marketing Association - Atlanta, Digital Summit, The Alexa Conference, Social Media Week Austin, Atlanta Interactive Marketing Association (AiMA), and more. What does the audience have to say? What is Emily's call to action for brands when it comes to voice marketing? What does 2024 look like?